Yorkshire are a unique team. They fuel the England line-up like no other county – currently – and they dominate the county circuit even when half their team are absent on international duty. The logic should therefore follow that when their international players are available for county selection, they would be an unbeatable team. Cricket is not like that, fortunately or unfortunately, and that means that even though the likes of Gary Ballance, Jonny Bairstow and Joe Root are all available for selection on Finals Day, the Vikings are not necessarily the team to beat. Nottinghamshire, Northamptonshire and Durham could be considered more settled teams, as they have the likes of Riki Wessels, Ben Duckett and Mark Wood, who have played consistently and offered key performances in the Blast for their respective counties. Could Yorkshire be hoisted by their own petard? The thing with Yorkshire this season was that they didn’t really show up to the tournament until they were already four matches in, and bottom of the table. 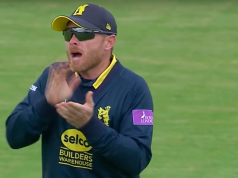 Their season started on 27th May with a match against Leicestershire and the performance really left something in the dressing room: there were dropped catches, mis-hits and early wickets. All of that added up to getting off to the worst possible start. After finally getting their first points of the season from two washouts, one against Warwickshire the other against Nottinghamshire, Yorkshire found some form and momentum. 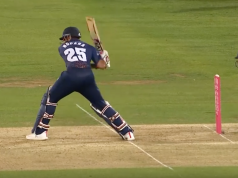 They won seven of their last nine group matches and eight of their last ten matches in total, thanks to the comprehensive victory in their away quarter final against Glamorgan. Yorkshire have the benefit of momentum behind them with that kind of win-percentage backing them up. With the weather looking a little iffy for Saturday at the moment, however, it will be all about getting off to the right kind of start. What will be a real shame for Yorkshire, should they take the tack of playing all of their England contingent, is for middle-order batsman Jack Leaning to miss out. He has been a quietly consistent contributor to the Yorkshire line-up for a couple of years now and became the recipient of a First XI cap just last week. His most recent scores – excluding his quarter final blip of just 10 runs – appear as 64 from 29, 30 from 14, 32 from 11. These contributions are crucial in the middle order for teams wanting to push on and get a big total, if a couple of wickets have fallen and the run rate has slowed. All-rounders David Willey and Tim Bresnan and have both performed with the best of best this season. 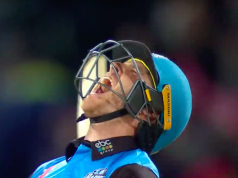 In the quarter final, Willey struck 79 from 38 balls including seven fours and six sixes, meaning 64 of those 79 runs came from boundaries. He has also scored a total of 16 sixes in the tournament to date, the third highest of anyone in the country. Bresnan delivered the first ball of Glamorgan’s innings in their quarter final clash and removed David Lloyd’s stumps. His figures speak for themselves, from 14 innings (40 overs), Bresnan has 20 wickets to his name at an average of 16.20. His batting prowess, although coming second to his bowling, is not dissimilar to Leaning’s. He has the ability to come out to the middle and strike the ball to score a quick 20-30 runs in a 10-15 balls to ensure that the team push on as fast and hard as they can.